It's not real often that I need to make a blueprint but, once in a while, there's a project that requires mapping and drawing out details. The BLU Notebook is great for just that. 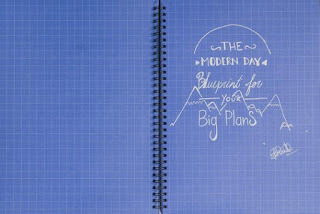 The BLU Notebook is the first ever sketching journal made from pages that have the look and feel of traditional blueprint paper. 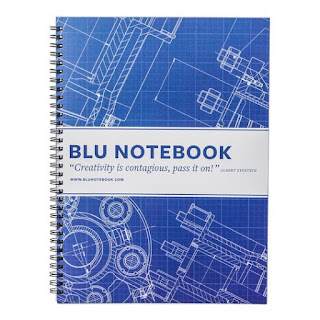 The BLU notebook features a rich blue colored page with a 10:1” grid within a finer 2:1" grid. The grid provides for multiple scaling options and is not so overpowering as to distract from your designs. The BLU Notebook is acid-free and there are 50 pages in each one. The sheets lay flat and there's perforations so you can tear a page out. The paper quality is superior. 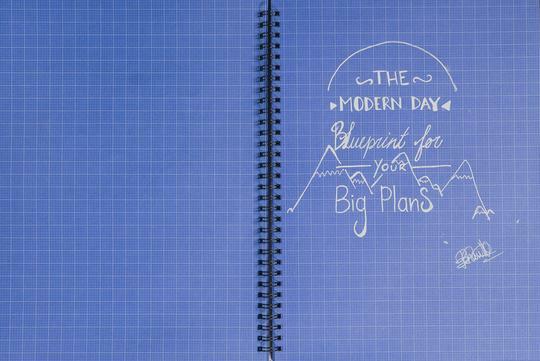 BLU Notebooks give you the opportunity to sketch our your ideas and map out your plans. I love the look of this notebook! It would be perfect for sketching architectural fantasies!